Who else is sooooooo ready for spring weather? It’s gotten warmer around here, but the temps keep dipping into the 40’s at night! I can’t wait to go completely sans jackets/coats for a few months. While I absolutely love fall and the clothing that comes with it, there’s something so effortless and simple about getting dressed in the warmer months. More often than not, I’ll just throw on a sundress or a top and jeans and call it a day! While I’d picked up a few new spring/summer dresses ahead of my British Virgin Islands trip, I’ve been wanting to add a few new lightweight tops the mix for the new season too. Things I can dress down for daytime or elevate for dinner and nights out! Ideally these pieces would fit the “statement staple” mold, so I can wear them repeatedly a bunch of different ways, year after year. One piece I’ve found is this Ganni cotton poplin top from MyTheresa! I absolutely love the square neckline (sup, Meghan Markle!) and the pretty puffed sleeves. Such a fun piece for wearing day or night this spring/summer! I’m wearing a US size 6, which fits more like a 4. This white Tibi top is stunning! The pleating is so ethereal, don’t you think? I featured these jeans in TuesdayTen this week on InstaStories – I’m just loving this wide leg white denim look! This Veronica Beard dress is about as statement staple as it gets! Classic black and white, gorgeous embroidery and a simple silhouette. I am beyond obsessed with this new Zimmermann print. Not sure this silhouette look good on my hourglass shape, but I love it! These Roger Vivier sandals are a big investment, but OH MY WORD. This simple black maxi is such a great travel + weekend staple! Style it for daytime with a jean jacket and sneakers, or dress it up with heeled sandals and a statement earring. Denim has never. looked. better. If you’re a bride to be, this would be a great piece to pack for your honeymoon if you’re headed somewhere warm! This bright yellow number is nearly sold out, and for good reason. This would be the BEST wedding guest dress! The print on this blouse is so gorgeous. 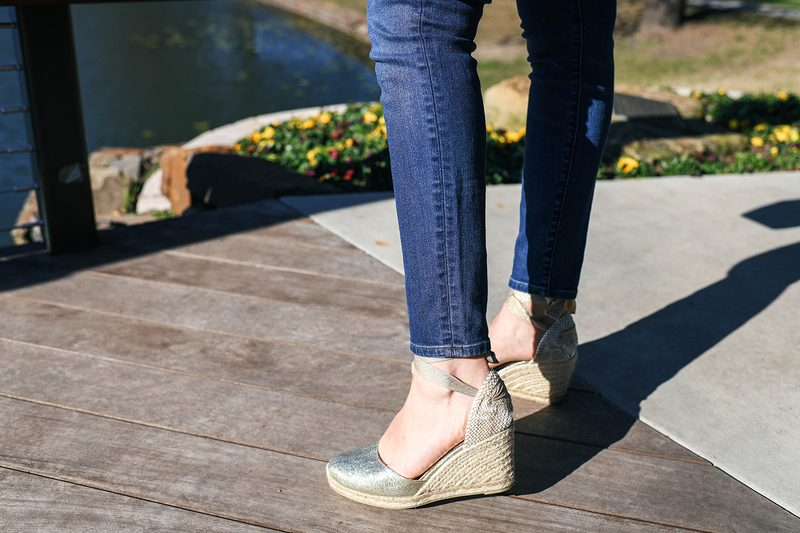 Tuck it into a skirt for church, wear with distressed denim on the weekend or style it with white pants at work! 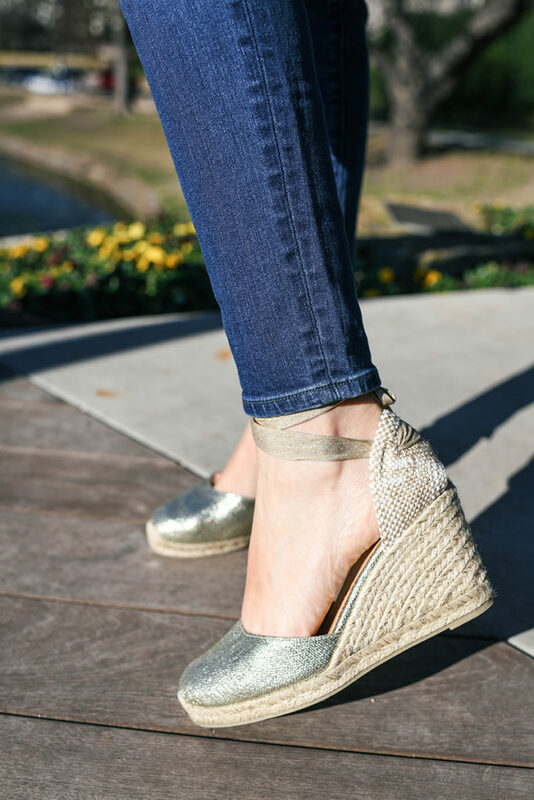 PS: I obviously copied Meghan Markle with the Castaner espadrilles too… but I went with gold as they’ll be more of a versatile neutral in my own spring/summer wardrobe! That poplin top is gorgeous!! I really need to start shopping more at MyTheresa!